THE LONDON AMERICAN LABEL YEAR BY YEAR 1966. For a generation of British teenagers who embarked upon a lifelong love affair with music during the fifties and sixties, the London American Recordings will forever have a place in their heart. London American Recordings was the label that introduced a British music lovers to American pop, rock ’n’ roll and soul. It licensed and released the latest American hit singles in Britain. This had been the case since the mid-fifties. London American had been licensing singles by Atlantic, Chess, Dot, Imperial, Speciality and Sun Records since the fifties. By the sixties, further labels were licensing their releases to London American. This would include Big Town, Hi Records, Monument and Philles Records. For a generation of music lovers, this made anything featuring the London American label essential listening. It was part of their musical education. Only by listening to London American’s releases, were music lovers able to keep track of the latest music trends. They usually started in America, then took Britain by storm. Time and time, this proved to be the case. That’s why, for a generation of music lovers, the London American label has a special place in their heart. It brings back memories of when their love affair with music began. For some music lovers, that was nearly sixty years ago. This was the start of a life long love affair with music. Now it’s possible to relive these memories once again. Since 2012, Ace Records have been releasing a series of compilations dedicated to the London American label. The first was The London American Label Year By Year 1956, which was released back in 2012. Recently, the eleventh instalment in the series, The London American Label Year By Year 1966 has just been released. The London American Label Year By Year 1966 is a twenty-eight track compilation. It’s an eclectic compilation full of big names. 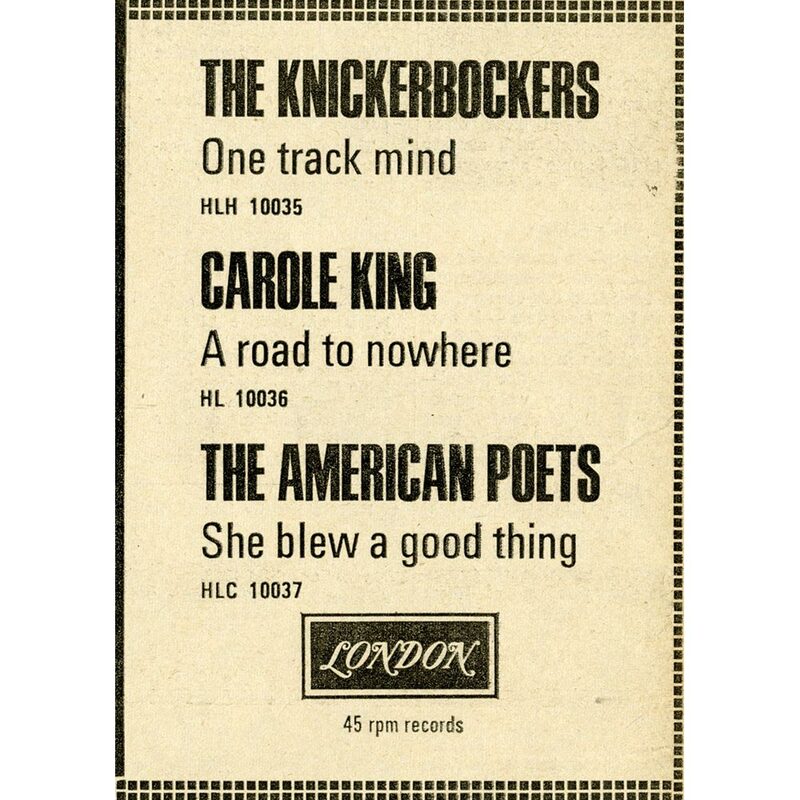 Folk, pop, R&B, rock, soul features on The London American Label Year By Year 1966. There’s everyone from The Vogues, Darrell Banks, The Butterfield Blues Band and Judy Collins, to Gene Vincent, Joe Simon, The Righteous Brothers, The Association, Barbara Lynn, Love and Ike and Tina Turner. The Vogues’ Five O’Clock World opens The London American Label Year By Year 1966. When it was released in America, it reached number four in the US Billboard 100. 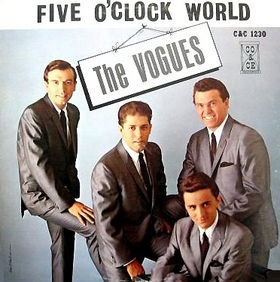 Five O’Clock World also lent its name to The Vogues’ 1966 sophomore album. After six years of trying, The Vogues, from Turtle Creek Pennsylvania, were enjoying commercial success. 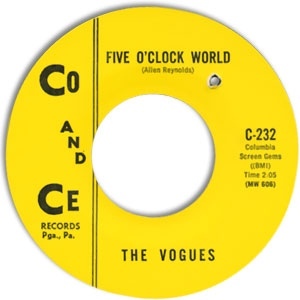 However, future singles never enjoyed the same commercial success as Five O’Clock World, where elements of pop, psychedelia and rock are combined by The Vogues. Originally, Darrell Banks’ Open The Key To Your Heart was titled Baby Walk Right In. The song had been penned by Donnie Elbert. 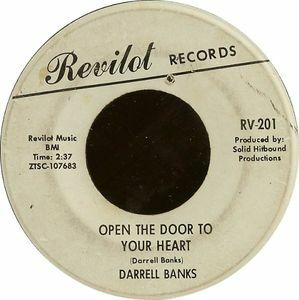 However, when Darrell Banks released Open The Key To Your Heart, he was credited as the songwriter. This resulted in a lengthy legal battle. Once it was eventually settled in Donnie Elbert’s favour, the single reached on Revilot Records. It reached number twenty-seven in the US Billboard 100 and number two in the US R&B charts. Since then, Open The Key To Your Heart has become a favourite among the Northern Soul community. 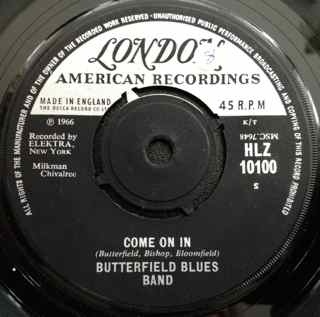 By 1966, The Butterfield Blues Band were signed to Elektra Records. Their debut single was Come On In. It features a vocal powerhouse by Paul Butterfield, while the rest of the band combine blues, R&B and rock seamlessly. The result is a tantalising introduction to The Butterfield Blues Band. 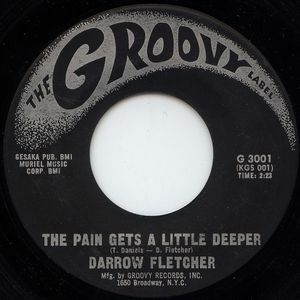 Darrow Fletcher was only fifteen when he released The Pain Gets A Little Deeper in 1966. Despite his tender years, this soulful offering reached number eighty-nine in the Billboard 100 and twenty-three in the US R&B chart. It would also become a favourite on the nascent Northern Soul scene. Judy Collins had been signed to Elektra Records since 1961. She was a contemporary of Bob Dylan, who had frequented the coffee shops of Greenwich Village. By 1966, her music is best described as folk-rock. 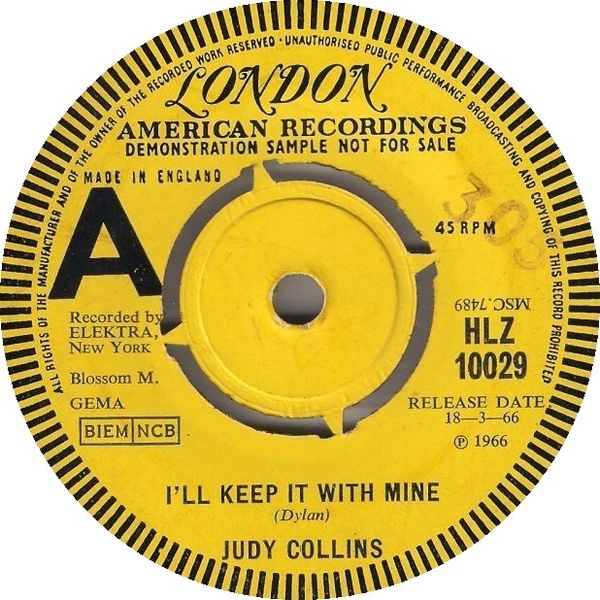 That certainly describes I’ll Keep It With Mine, which features a truly impassioned vocal from Judy. 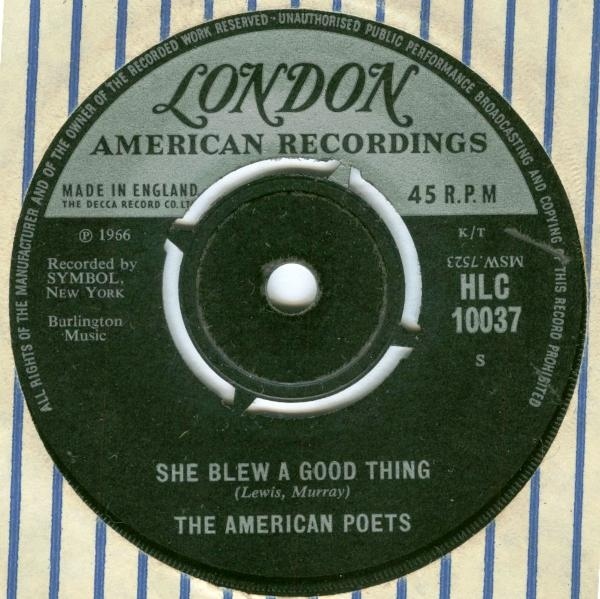 In 1966, The American Poets were signed to Symbol Records. They had started their career at Imperial. However, commercial success eluded them. So, they moved to Symbol Records. That’s where the recorded what was their finest hour, She Blew A Good Thing. On its release, She Blew A Good Thing reached number forty-five on the US Billboard 100. It was then licensed by London American, but wasn’t a commercial success. However, it became a favourite on the Northern Soul scene, and nowadays, is a sought after rarity. 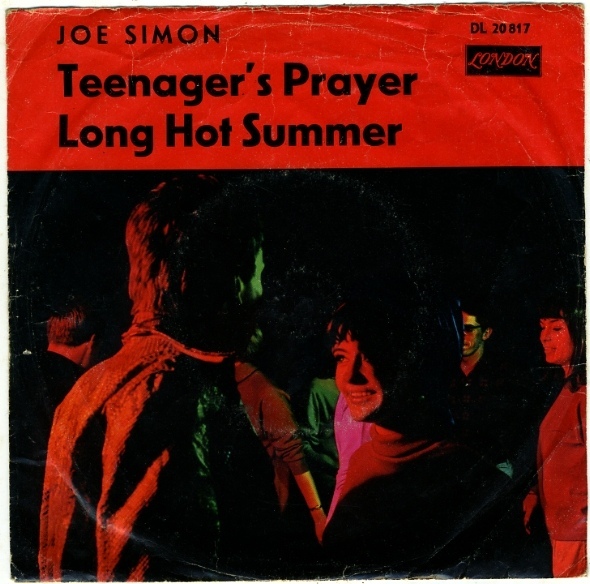 When Joe Simon released Teenager’s Prayer on Sound Stage, he was already a seasoned performer. He had released his debut single in 1960. By 1966, he had one hit single to his name, Let’s Do It Over, which Joe released in 1965. It reached number thirteen in the US R&B charts. Teenager’s Prayer surpassed Let’s Do It Over, when it reached number sixty-six in the US Billboard 100 and number eleven in the US R&B. No wonder. Teenager’s Prayer is a soul-baring ballad, that’s tailor made for Joe Simon. Johnny Otis’ Hand Jive was an oft-covered song. 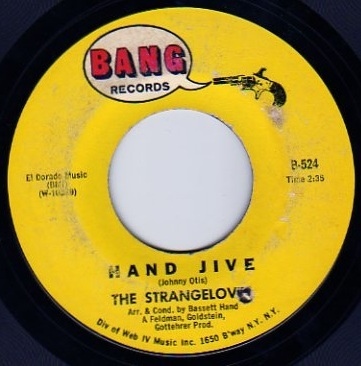 In 1966, The Strangeloves decided to cover the song. They were a studio based group, put together by the production team of Bob Feldman, Jerry Goldstein and Richard Gottehrer. The F-G-G production team had enjoyed a degree of success. However, their luck ran out when their poppy cover of Hand Jive stalled at number 100 in the US Billboard 100. The Association are one of the most underrated of the sixties folk-rock groups. They were based in L.A. Success didn’t come quickly for The Association. Their 1965 single, Along Comes Mary was the first to chart, reaching number seven in the US Billboard 100. So, Valiant Records sent them into the studio, where they recorded the 1966 album And Then…Along Comes The Association. It featured the tender, thoughtful ballad Cherish. When it was released in September 1966, The Association hit the jackpot. 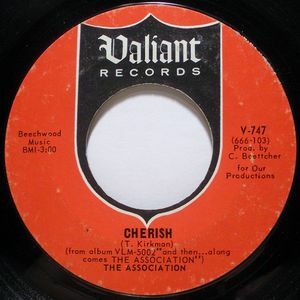 Cherish reached number one, where it spent three weeks. This was the start of a seven year period where The Association could do no wrong. It was 1966, that Philly based soul group The Intruders first hooked up with Gamble and Huff. This was the start of a long association that saw The Intruders follow Gamble and Huff to Philadelphia International Records in 1971. That was the future. Gamble and Huff penned and produced United for The Intruders. This early example of their Philly Soul sound reached number number seventy-eight on the US Billboard 100 and twenty-three on the US R&B charts. United was a signal of what was to come from Gamble and Huff and The Intruders. Phil Spector is one of the legendary producers in musical history. In 1966, Phil Spector was working with The Ronettes. He cowrote I Can Hear Music with Jeff Barry and Ellie Greenwich. Then Phil took The Ronettes into the studio, where he produced I Can Hear Music. Sadly, by the time I Can Hear Music was released, The Beach Boys’ version had charted. It became a classic and overshadowed what was a classy slice of pop from The Ronettes. 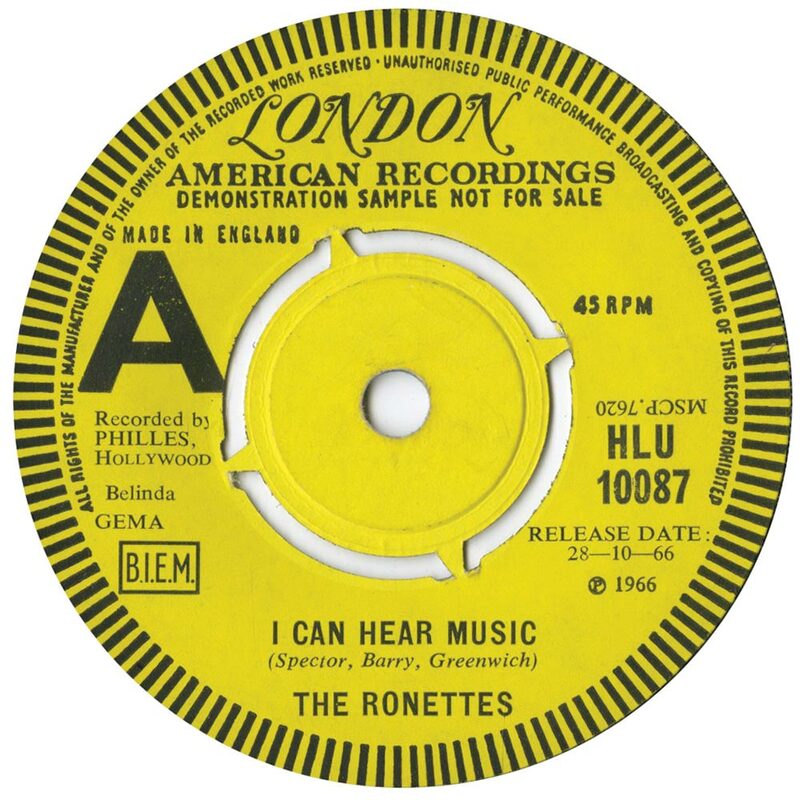 On its release, The Ronettes version of I Can Hear Music stalled at just number ninety-nine on the US Billboard 100. Its inclusion on The London American Label Year By Year 1966 is to be welcomed and is a reminder of the other version of a pop classic. We The People were one of many garage bands based in Orlando, Florida. 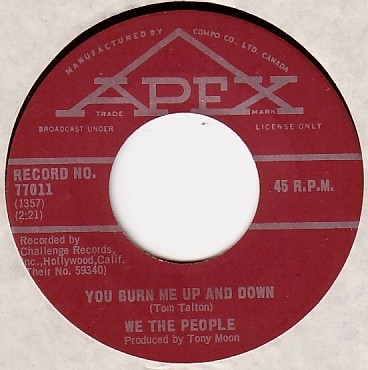 They released You Burn Me Up And Down as a single on the Apex label in 1966. It reached number seventeen on the US Billboard 100, and gave We The People the biggest hit of their career. Like many bands, Love were more of an albums band, than singles bad. None of their singles made much of an impression on the charts. 7 And 7 Is was the exception. It’s a track from their sophomore album De Capo. When 7 And 7 Is was released as a single, reached number thirty-three on the US Billboard 100. 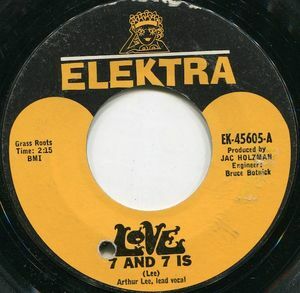 Given its undoubtable quality, 7 And the Arthur Lee penned 7 Is never reached the heights it should’ve. 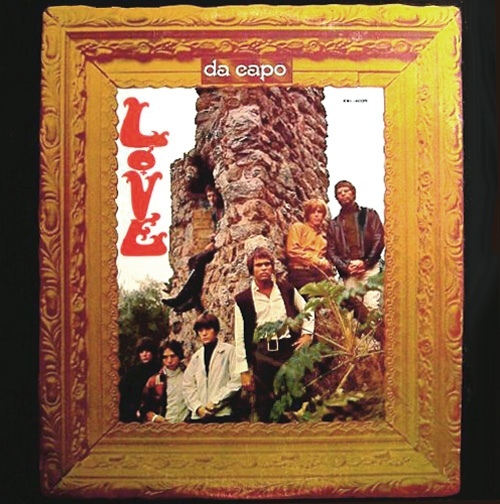 However, nearly forty years later, and De Capo is regarded as a classic album, and Love as one of the most influential and innovative bands of the late sixties. Their fusion of psychedelia and rock is remembered fondly by a generation. 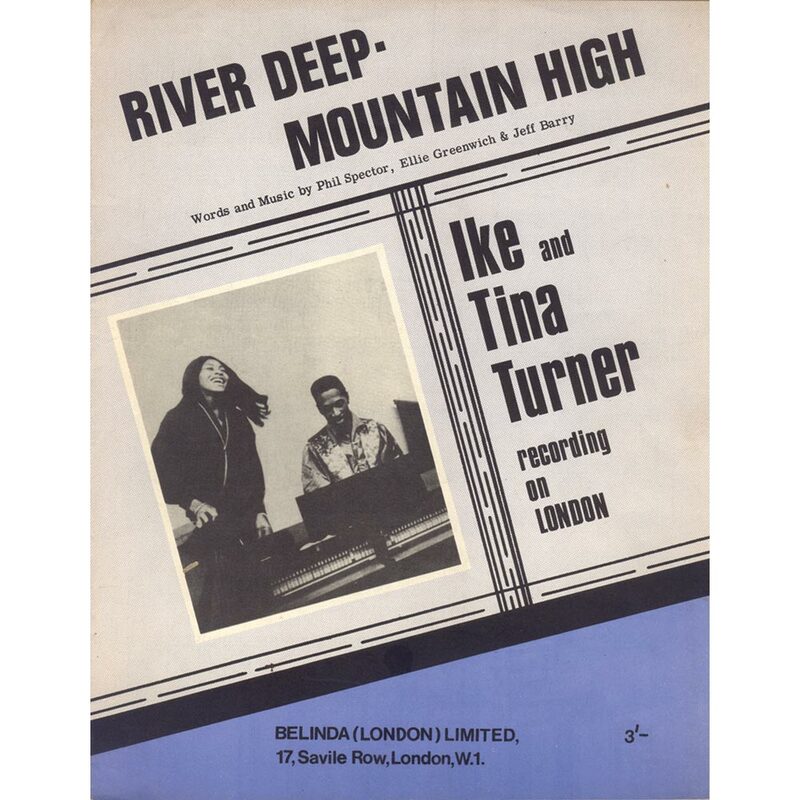 Closing The London American Label Year By Year 1966 is Ike and Tina Turner’s River Deep-Mountain High. It’s a Phil Spector, Jeff Barry and Ellie Greenwich composition. When it was released in America, it stalled at number eighty-eight in the US Billboard 100. However, when River Deep-Mountain High was released in Britain, it reached number one, and was the biggest selling single of 1966. That seems a fitting way to close The London American Label Year By Year 1966. Just like previous volumes in the series, The London American Label Year By Year 1966 is a fascinating and eclectic musical document. It demonstrates the sheer variety of music being released during 1966. There’s everything from folk, garage, pop, psychedelia, R&B, rock and soul. Eclectic is the best way to describe The London American Label Year By Year 1966. There’s tracks from The Vogues, Darrell Banks, The Butterfield Blues Band and Judy Collins, to Gene Vincent, Joe Simon, The Righteous Brothers, The Association, Barbara Lynn, Love and Ike and Tina Turner. Hits sit side-by-side with misses. 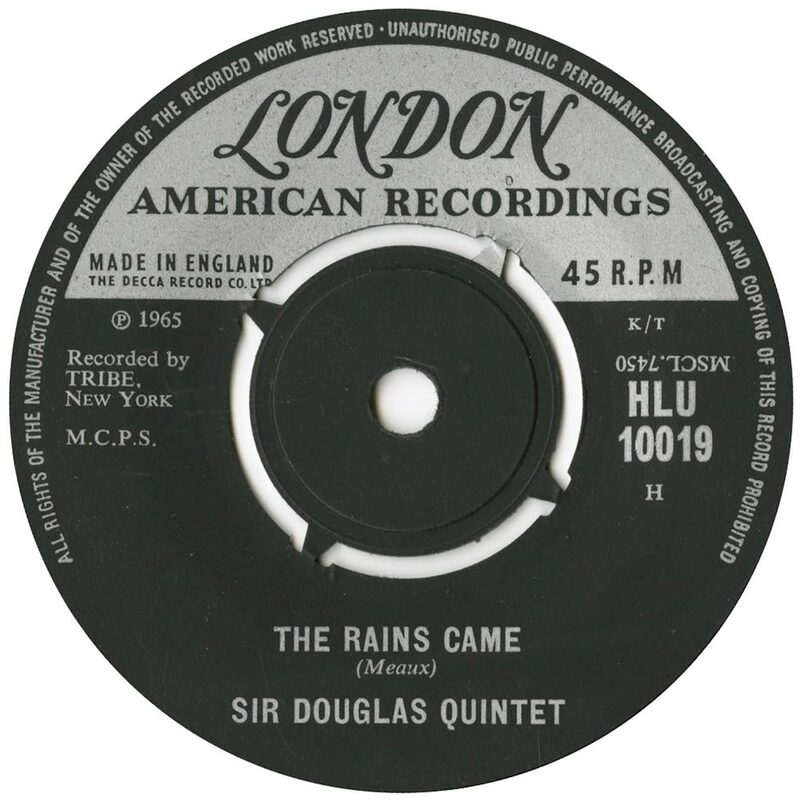 Similarly, classics and hidden gems rub shoulders on The London American Label Year By Year 1966. Just like previous volumes, it was compiled by Tony Rounce. Tony Rounce should be congratulated for the way he’s approached The London American Label Year By Year 1966. 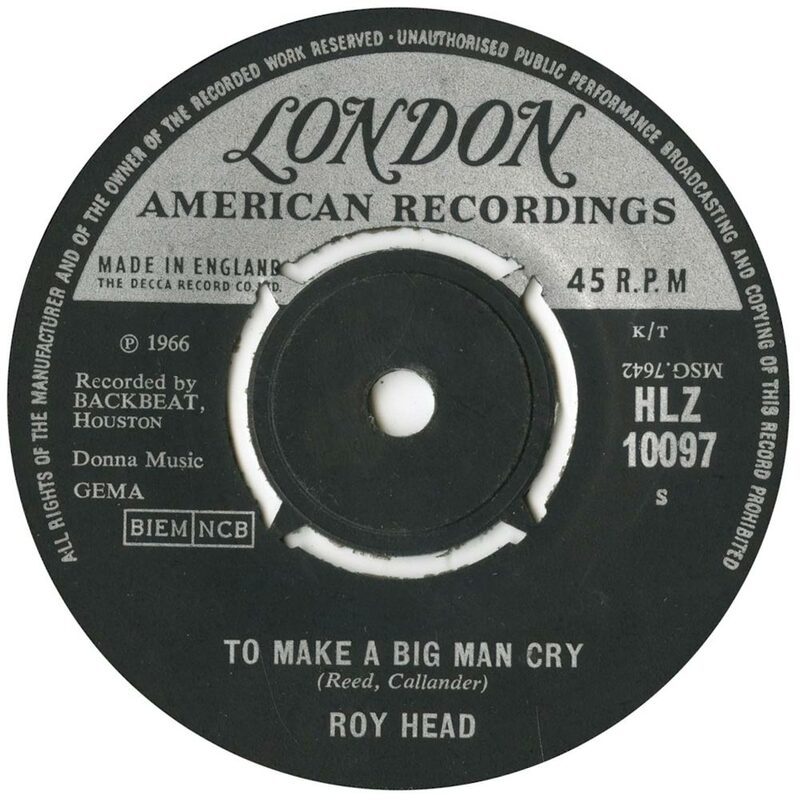 Rather than choose the most successful singles released by London American during 1966, Tony has dug deeper. The result is a captivating and truly eclectic selection of tracks. Forgotten favourites and familiar faces feature, during The London American Label Year By Year 1966, which is eclectic and compelling compilation that’ll bring back memories for anyone introduced to American pop, rock ’n’ roll and soul by the London American label. 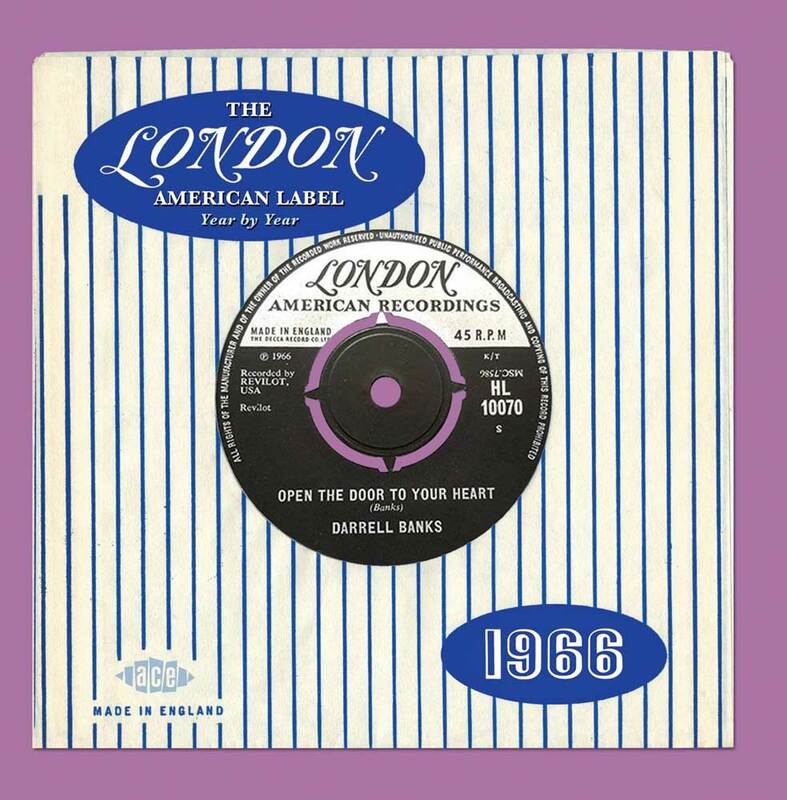 The London American Label Year By Year 1966 which was recently released by Ace Records, is the eleventh instalment in the series, and will allow a generation of music lovers to relive you your all over again. ← REACHING OUT! CHESS RECORDS AT FAME STUDIOS.